This song was written by John Lennon in 1968. It is credited to Lennon/McCartney. It was first recorded by The Beatles in 1968. Take 2 of the recording was released on The Beatles’ 1996 album Anthology 2. The 1968 version was first released on the 1969 charity album No One’s Gonna Change Our World. The Beatles played the song during the Let It Be sessions in 1969. Rehearsals of the song were included in the 1970 movie Let It Be. In 1970 Glyn Johns remixed the 1968 recording for inclusions on The Beatles’ 1970 album Let It Be. That version was not released and the song was remixed again by Phil Spector and that version was released on the Let It Be album. The 1968 recording was remixed again for the 2003 album Let It Be…Naked. Cilla Black recorded the song in 1970 for her album Sweet Inspiration. Her version was produced by George Martin. David Bowie recorded the song in 1975 for his album Young Americans. That version features John Lennon on backing vocals and guitar. This song was written by John Lennon but is credited to Lennon/McCartney. The song was first recorded by The Beatles in 1969. A version recorded at Apple Studios in 1969 was released on Anthology 3 in 1996. The Beatles and Billy Preston performed the song live on the roof of Apple Studios in 1969. That version was produced by Phil Spector and released on The Beatles’ 1970 album Let It Be. An edited version of the live recording was released in 2003 on Let It Be…Naked. A version of the song was used in The Beatles’ 1970 movie Let It Be. Dig A Pony was also released on an EP in Thailand in 1970. The EP also included Two Of Us, I Me Mine and Let It Be. Two Of Us was written by Paul McCartney but is credited to Lennon/McCartney. The song was first recorded by The Beatles in 1969. An extract from the rehearsals was included on the Fly On The Wall disc included with the 2003 album Let It Be…Naked. An outtake recorded at Apple Studio in London in 1969 was released in 1996 on The Beatles’ album Anthology 3. An alternative take was released in 2003 on the album Let It Be…Naked. A version of the song was featured in the 1970 movie Let It Be. Two Of Us was recorded by The Beatles at Apple Studio in 1969 and was produced by Phil Spector. It was first released on The Beatles’ 1970 album Let It Be. Two Of Us was also released on the EP Let It Be in Malaysia in 1970. 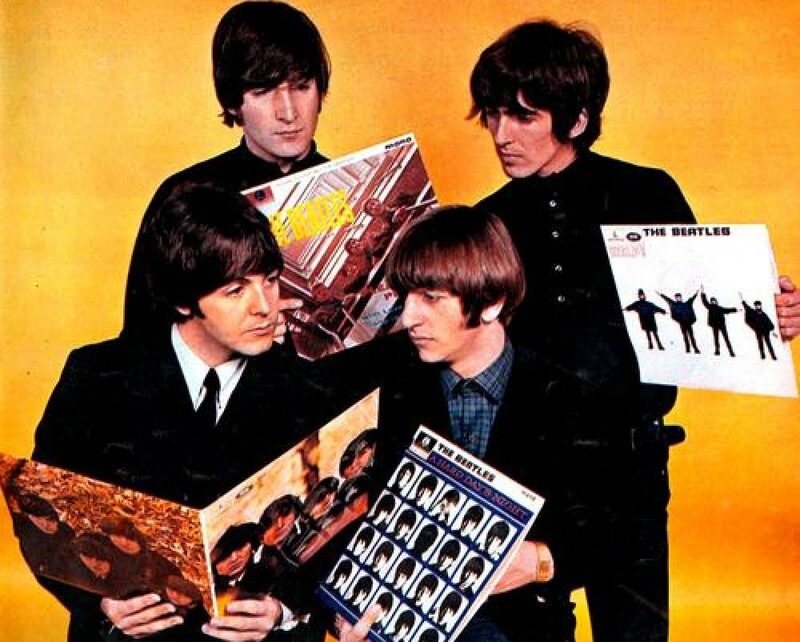 The EP also included Let It Be, The Long And Winding Road and I’ve Got A Feeling. The song has been performed live by Paul McCartney. Paul McCartney wrote this instrumental in 1970. It was recorded by him at Morgan Studios in London in 1970. The recording features backing vocals by Linda McCartney and it was produced by Paul McCartney. Kreen-Akrore was released on Paul McCartney’s 1970 album McCartney. Maybe I’m Amazed was written by Paul McCartney in 1969. It was first recorded by Paul McCartney in 1970. It was recorded at EMI Studios and was produced by Paul McCartney. The recording features Linda McCartney on backing vocals. It was first released on Paul McCartney’s 1970 album McCartney. The song was part of Wings’ repertoire. A live version was released on Wings Over America in 1976. That version was also released as a single in 1977. A live version from the TV special One Hand Clapping, recorded in 1974 and a live version recorded in Glasgow in 1979 were released in 2011 on the special edition of McCartney. Maybe I’m Amazed is also part of Paul McCartney’s repertoire and live versions have been released on Tripping The Live Fantastic (1990), Back In The U.S.A (2002), and Back The World (2003). A version recorded by the London Symphony Orchestra was released on the Paul McCartney album Working Classical in 1999. The 04 Summer Tour Remix of Maybe I’m Amazed was released on Twin Freaks in 2005. Maybe I’m Amazed has also been recorded by Sandie Shaw, Faces, Petula Clark and Ruby Starr among others. Junk was written by Paul McCartney in 1968 and was recorded by him in 1970. Singalong Junk is an instrumental version of Junk. It was recorded by Paul McCartney in 1970 and was released on his 1970 album McCartney. The song is part of Paul McCartney’s repertoire and a live version was released in 1991 on Unplugged (The Official Bootleg). A version performed by the London Symphony Orchestra was released on Working Classical in 1999. Both versions were titled Junk but are in fact Singalong Junk. Singalong Junk has also been recorded by Chet Atkins. Teddy Boy was written by Paul McCartney in 1968. The song was recorded by The Beatles during the Let It Be sessions in 1969. An edit of two takes was released on Anthology 3 in 1996. Paul McCartney recorded the song at his home studio in London and later added overdubs at Morgan Studios in London. The recording was produced by Paul McCartney and features backing vocals by Linda McCartney. Teddy Boy was first released in 1970 on the Paul McCartney album McCartney.